We’ll Take a Westland, Neat 2 Votes Up! Cocktail Courier Is a Party in a Box 0 Votes Up! We Interrupt Your Regularly Scheduled Blowout For... 2 Votes Up! Shareable Hand-Swizzled Cocktails Put the ‘Social’... 1 Vote Up! Tony DeMaria Takes DIY Liquor to an Entirely New L... 1 Vote Up! Strange Bedfellows: Incredible spirit collections... 2 Votes Up! Now Serving in Las Vegas: Libertine Social by Shaw... 2 Votes Up! Left to Mind the Store, Las Vegas Bartenders Told... 8 Votes Up! Raising Cane: Cocktail & Sons Brings a Taste of N’... 5 Votes Up! 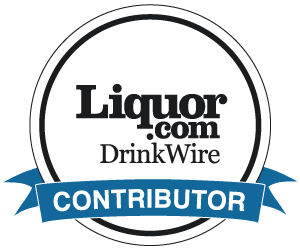 Herbs & Rye is Crowned the Best American High-Volu... 2 Votes Up! The Mixology Awards 2016 2 Votes Up! SeongHa Lee is Las Vegas' Best Bartender 2016 2 Votes Up! Rosé to the Rescue! 0 Votes Up! Intrigue Nightclub Whips Up Coffee With a Kick 2 Votes Up! Here’s to the New Beers of Summer 0 Votes Up! Negroni Week 2016: There Are So Many Ways to Drink... 2 Votes Up! Las Vegas Prepares for a Weeklong Celebration of t... 0 Votes Up! The Secrets of Serving Craft Cocktails at Large Fe... 5 Votes Up! A Taste of Further Future 3 Votes Up! Popped Goes the Cocktail 4 Votes Up! Bartenders Learn Winemaking at Grape Expectations 2 Votes Up! Delmonico’s Juyoung Kang Moves Up in the Ranks at... 0 Votes Up! Life On Bars: Collectif 1806 Touches Down in Las V... 0 Votes Up! Shawn McClain Strikes At the Stomach With Libertin... 0 Votes Up! Get Into the Ring With the Underground Bar Brawl C... 1 Vote Up! An Early Spring Brings Mixology Madness to Las Ve... 1 Vote Up! Two Barmen Embrace Their Beverage Callings 1 Vote Up! Arena Cocktails Get an Upgrade Thanks to Tony Abou... 2 Votes Up! The Juice Standard Prescribes a Healthy Dose 0 Votes Up! Mixologist Tony Abou-Ganim and Chef Shawn McClain... 0 Votes Up!